Chris Marrero was the offensive star of the game, going 3 for 5 with a double and a home run. The home run was his 23rd of the season, which ties him for first in the International League. Chris Young made his third rehab appearance, going 1 for 4 with a double as the designated hitter, and Rusney Castillo went 1 for 3 with two walks out of the leadoff spot. Trey Ball struggled with his control, walking five while allowing three runs on five hits over five innings. Ball had walked only six over his last 18 innings, but after last night he is now walking 5.5 batters per nine innings this season. Jake Cosart was dominant again, striking out five over two perfect innings of relief. He has not allowed a run in his 7 2/3 innings with Salem while punching out 15. Simon Mercedes closed the game out with two innings of one-run ball. Batting out of the ninth spot, Deiner Lopez went 2 for 2 with a walk and two runs scored. Lopez now has a four-game hitting streak during which he is 9 for 13 with a walk. Rafael Devers had the biggest hit of the game, lacing a two-run single in the third. He also added a sacrifice fly, which drove in his 64th RBI of the year. Robby Sexton and Denyi Reyes combined on a four-hit shutout to end the Red Sox six-game losing streak. Sexton went the first four innings, allowing only two hits while striking out one, and Reyes finished the final five innings, allowing two hits and striking out two. It was a good rebound from Reyes, who was roughed up for four runs in each of his previous two appearances. The offense took advantage of some serious control issues by the Orioles, as the Red Sox drew eight walks and were also hit by two pitches. Alberto Schmidt led the way with three walks, while Raiwinson Lameda had two of the team's five hits, going 2 for 2 with a double, walk and hit-by-pitch. A seven-run seventh inning lifted the second Red Sox squad past the Phillies. Warlyn Guzman saw his ERA rise from 1.05 to 1.51 after allowing three runs on seven hits over five innings. Roberto Medina picked up the win with two hitless innings of relief, and Victor Familia tossed a scoreless ninth. Yeison Coca finished a home run short of the cycle, going 4 for 5 with three RBI and two runs scored. Coca, who just turned 17 in May, is now batting .284 with a .337 on-base percentage as the shortstop, though he does have 16 errors in only 53 games. Kleiber Rodriguez went 2 for 3 with two doubles and two RBI, and Everlouis Lozada, who went 12 for 25 with two doubles and eight runs scored over his last five games, went 0 for 2 but drew three walks and scored twice. The game between the DSL Red Sox1 and the DSL Astros Blue was postponed due to rain. 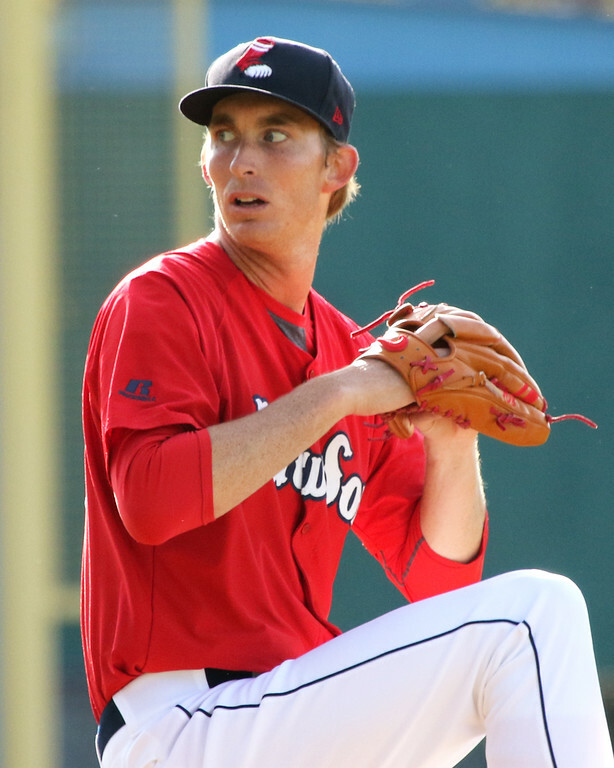 Player of the Night: Henry Owens had arguably his best start of the season last night, walking one and striking out six over seven innings of one-run ball. Owens entered the game walking over six batters per nine innings between Pawtucket and Boston this season, so last night was certainly a step in the right direction. Despite the control issues this season, Owens is still missing bats, striking out 125 over 131 2/3 innings. With rosters expanding in just over two weeks, Owens has a few more chances to show that the progress is real and that he can help the big league club if the need arises.